Twenty years from now, if someone ask me about the year 2016 , I won’t know where to begin. This has certainly been a tumultuous year for many. There’s been birth, growth, and a lot of loss. No one was exempt. I mean, we lost Prince. That alone was enough to send many of us over the cliff. But for me, the first half of the year actually started off on a good note. Exactly this time last year, I was scouting my favorite shopping malls and boutiques in search of THE perfect dress to celebrate NYE in Dallas with one of my besties. I brought in the new year surrounded by good friends, good people, and positive energy. We spent the first day of 2016 enjoying a fabulous champagne brunch at a friend’s home. We fellowshipped, prayed, and spoke our goals for 2016. The following day, I boarded my flight back to Chicago feeling inspired, empowered, and ready to smash every goal and intention I set for myself. And things went well in the beginning. They really did. But by July, 2016 turned on me like a rabid pit bull. But such is life, right? Sometimes, a year will give you everything you hope for and more. And other times, it will leave you wondering how you survived it at all. In spite of 2016’s tragedies and having to put some of my adventuring on pause, I did have a few great moments in travel and adventure. 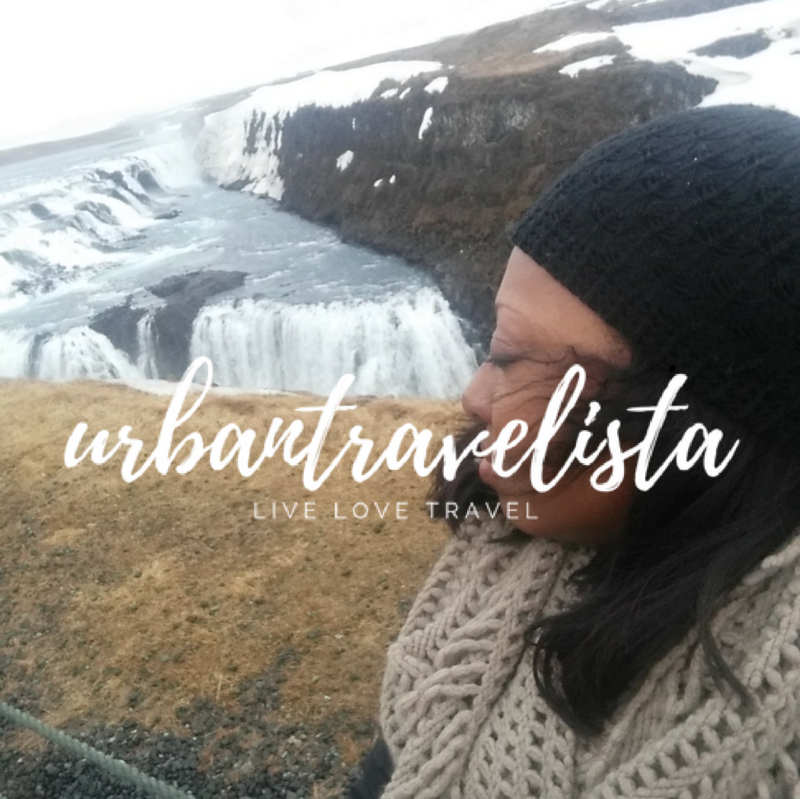 In April, I gave birth to my lifestyle/travel blog, Urbantravelista™. I created it as an outlet to share my personal life and travel experiences. I debuted my blog recounting my first international solo vacation experience. BTW, if you missed it, no worries. You can read it here: Solo Travel: Tips for a first time “Urbantravelista” . This is my second run at blogging and it’s the longest I’ve ever stuck with a writing project. Truthfully, running this project and growing Urbantravelista has kept me sane and grounded in the midst of 2016’s insanity. I guess I finally found my niche. I look forward to seeing it’s growth and evolution in the forthcoming year. My goal is to encourage others to create their own fulfilling experiences by embracing the unknown and stepping outside of their comfort zone. I want to inspire others to live their truth (the good, the bad, and the ugly) and to make lemonade in the midst of life challenges…and be fabulous while doing it. Life is imperfect. Therefore, we don’t have to be perfect. But we do have to LIVE. Also in April, I had the opportunity to join a meet-up experience in Reykjavik. We dubbed this event “The Iceland Blackout” as we collectively represented a group of over 70 black likeminded travelers from all over the world. You can read about it here: Don’t sleep on Iceland . This adventure was special to me, because I had NEVER travelled this far away from home alone. Iceland was a destination that I never fathomed I’d ever visit or even have the desire to visit. Well, I completely underestimated it’s DOPENESS. I basked in the warm waters of the Blue Lagoon, rode the Reykjavik bus system by myself, danced with Icelanders in a Reykjavik hip hop club, toured the Golden Circle, felt the chilling magnificence of Gullfoss Waterfall, learned about Icelandic culture, walked the path between the American and Eurasian tectonic plates, and danced in the middle of nowhere under the Reykjavik stars while chasing the Northern Lights. I’m looking so forward to my return in March of 2017. Stay tuned! When spring opened up, one of my best friends introduced me to the game of golf. It started with drink and appetizer outings at Top Golf. To my surprise, the more I practiced, the more I wanted to experience going out on a real course. So we did just that and after a few outings, I got to be pretty good at it. I do have a long way to go before I become proficient at it, but my performance and interest motivated me enough to invest in a set of clubs of my own. He may not be significant to you, but he’s very much important to those of us that grew up during the New Edition era. My mom found out he was in town for a book signing in my neighborhood. Because she was a bigger fan than I was, I braved to two hour wait in line and got an autographed copy of his new book for the both of us. It was a couple of days for before my birthday and he was the first person to give me a hug and wish me Happy Birthday. How cool is that? Thanks Bobby! Over the summer, I launched a “TouristInMyTown Summer Challenge” campaign to encourage people to take advantage of the culture and tourism in their own backyard. I promoted this campaign by patronizing the various festivals, events, and tourist attractions in my city and challenging others to do the same in their respective cities. I kicked off the challenge at the Wells Street Art Festival held in historic Old Town. This festival featured over 225 artists from across the continent. Next, I attended the Taste of Randolph, a food and music festival similar to the Taste of Chicago, but on a much smaller scale. As summer progressed, I took the challenge to the south side where I attended house music’s signature summer event, The Chosen Few Old School Picnic. This event is held in Hayes Park and takes place during the Fourth of July holiday. This was my third time in attendance and it gets bigger and better every year. Next, I headed back to the western suburbs and attended Naperville’s Rib Fest. This event is also held during the Fourth of July holiday and expands over four days. My final festival of the summer took place at Lincoln Park’s Hot Dog Fest. I stepped far outside of my comfort zone by trying a hot dog for the first time in 30 years. Yeah I know, pretty groundbreaking. And in between my summer “festivaling”, I reacquainted myself with Oak Street beach, a Chicago attraction I haven’t enjoyed since my childhood. Sunbathing on the beach with my city’s beautiful skyline as the back drop was everything. After experiencing one of the best summers I’ve had in years, travel and adventure came to a screeching halt when I experienced my biggest heartbreak ever, saying goodbye to my beautiful mother. Death is an event that you never see coming. It doesn’t send an invitation for you to prepare or RSVP. It just shows up on your doorstep completely uninvited and gives zero f*cks. My fall and winter itinerary suddenly became replaced by profound grief and sadness. Discovering my “new” normal and picking up the broken pieces of my heart has become my newest adventure. It’s all a very unwelcomed adventure, but still an adventure that most of us will face some day nonetheless. Looking back, I came into 2016 feeling empowered and inspired. Although my year took a tragic turn, I still find joy in the goals I was able to accomplish. I find solace in the positive experiences I was able to create and the possibility of inspiring at least one person to create some positive experiences of their own. I’m not sure what’s in store for 2017, but the only thing that keeps me optimistic is my desire to continue living the way my mother wanted. She lived vicariously through my adventures and I look forward to honoring her memory by creating more awesome experiences in 2017. Sure, it’s dark now, but joy comes in the morning. Let’s hope the sun shines brightly in 2017 with more travel and adventure. So, I ended this year’s 4th of July celebration doing something that I’ve never done before: I attended the 2016 Naperville Ribfest. The festival is typically a four day event and ran from Friday, July 1st to Monday, July 4th. It’s hosted by the Exchange Club of Naperville to raise funds to help fight child abuse, domestic violence and to strengthen families in local communities. The festival has a north and south entrance featuring vendors, raffles, and carnival rides/games, that meet up with “Ribbers Row” (the 12 national rib vendors that make up Ribfest). There are also two stages set up for live entertainment. This year’s line up featured Sheryl Crow, Matchbox 20, and several blues, country, and rock artists. And are you a vegan or vegetarian? Or are you just trying to watch your waistline? Well no worries, because Ribfest offers many alternatives to accommodate the most health conscious palate. I don’t eat pork but had no issue feasting on a chicken sandwich, onion blossom, and funnel cake (pictured below). General admission for Ribfest is $20 for adults. It’s a great event for families, couples, groups, or even if you want to roll solo. There is something for everyone. And as a finale, Ribfest puts on a huge fireworks show, usually hosted by one of their big sponsors. Check it out next year! So, part one of my 4th of July weekend began with one of Chicago’s biggest annual reunions, The Chosen Few Old School Picnic. Also known as the “Black Woodstock”, the Chosen Few Picnic is one the most anticipated musical events of the summer. House Heads near and far, get up at the crack of dawn (like seriously out at 3am) to set up their tents, throw meat on the grill, and dance and socialize to endless hours of house music. The event is held on the south side of Chicago in Hayes Park and always takes place on July 4th weekend. It started over 20 years ago as a small gathering and has now grown to thousands of attendees annually. The event features world renowned guest DJs, live performances and, of course, the legendary Chosen Few DJs. Now I’ve never considered myself to be a true “house head”, but I do love house music. It’s a part of my generation and it is a part of Chicago. I remember when it originated and I am part of the generation that used to record mixes from WBMX to my cassette tapes. I wasn’t old enough to go to the clubs, but I remember my older counterparts raving about the Warehouse, a house club hosted by world renowned and late house DJ pioneer Frankie Knuckles. Overall, I suppose the event brings a certain feel of nostalgia. You get to listen to the music that saw you through puberty and reunite with old family and friends. It’s peaceful and drama free. Everyone is there for the same purpose and common goal. The Chosen Few picnic usually takes place July 4th weekend. Traditionally, it’s always been one day event, coupled with other pre-party and after party events. But this year, they decided to make it a two day affair. And as the event has grown over the years, so has the admission. For example, when I first attended five years ago, the cost was only $10 for general admission. The cost this year was $34 for advanced purchase and $40 at the gate. There is been a lot of controversy regarding the increasing cost. Some attendees feel it’s completely justified and others feel the city is trying to take control of the event to generate another income stream. Either way, I think all of us can agree: it’s a damn good time. And I suspect that no matter how much admission goes up, loyal house heads will still be there. And I probably will be too. I pledge allegiance to “the house”. This weekend, I had the opportunity to cross the Taste of Randolph off my summer festival bucket list. Yep…ANOTHER EVENT I have yet to attend all of my many years as a Chicagoan SMH. Nestled along the 900 west block of Randolph between Racine and Peoria, The Taste of Randolph is like the appetizer to Chicago’s summer main course, the Taste of Chicago. Historically, it runs the third week of June and started Friday, June 17th at 5pm Sunday and ended June 19th at 10pm. The Taste of Randolph is hosted by the West Loop Community Organization, an a non-profit 501(c)3 agency that continuously works to ensure positive progress for the neighborhood, while offering social events and beneficial developments to improve the quality of life in the West Loop. The entry fee is a reasonable $10 donation (all proceeds benefit the West Loop Community Organization) and grants attendees access to top local cuisine, art vendors, and live music. This year, the festival partnered with Chicago based independent promoters, Silver Wrapper to bring three eclectic stages featuring raw talent including Chicago’s brightest young musical acts extending from indie rock to dance music. If you’re a foodie, music lover, or artisan, this event is for you. There’s something for everyone to enjoy. As for me, I heavily enjoyed the red sangria, chicken kabobs, and house music! And if you missed it this year, there’s always next year. Until then, you still have the Taste of Chicago to look forward to which runs from July 6th through July 10th at Grant Park (admission FREE). Stayed tuned for my next review and come “summer” me with as I become a “Tourist In My Town”.